Apple Inc on Friday asked the US Supreme Court to clear the way for the iPhone maker to secure hundreds of millions in damages from Samsung Electronics Co Ltd in a case over smartphone design patents. The world’s top smartphone rivals have been feuding over patents since 2011, when Apple sued Samsung in a northern California court alleging infringement of the iPhone’s patents, designs and trademarked appearance. In its legal brief on Friday, Apple said Samsung had not provided evidence to support its argument that design patent damages should be decided on one component of a smartphone, rather than the entire product. Apple said there was no need for the Supreme Court to send the case back to a lower court for further proceedings. A Samsung representative declined to immediately provide comment. The South Korean company has said that a ruling for Apple would diminish innovation and negatively impact the economy. 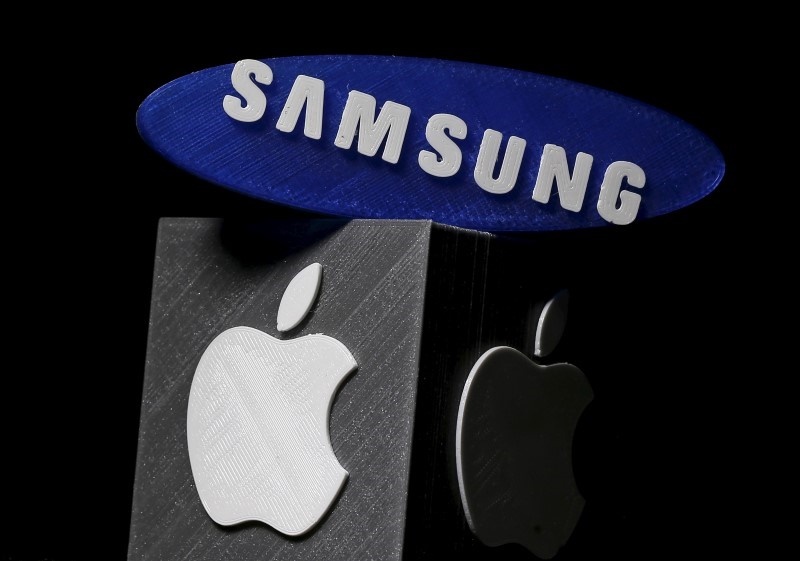 Following a 2012 jury trial, Samsung was ordered to pay Apple $930 million. Samsung has been trying to reduce that figure ever since. Its efforts were partially rewarded in May 2015, when the US Court of Appeals for the Federal Circuit reversed the damages on trademark liability. The appeals court, however, upheld Samsung’s infringement of the iPhone’s patents, including those related to the designs of the iPhone’s rounded-corner front face, bezel and colorful grid of icons. That brought Samsung’s exposure down to $548 million, of which $399 million involves design patents. Additional damages, based on five other phone models, could also be awarded depending on the outcome of appeals. Samsung asked the Supreme Court to review the case, calling the damages awarded excessive. In March, the justices agreed to look into whether courts should award in damages the total profits from a product that infringes a design patent, if the patent applies only to a component of the product. In a filing last month, the US Department of Justice said the case should be sent back to a lower court. But Apple said Congress has been clear on the issue of design patent damages, and there was no reason the Supreme Court should allow Samsung to make additional arguments.